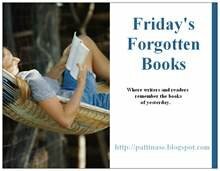 Friday's Forgotten Books: Anthologies, Etc. "a book or other collection of selected writings by various authors, usually in the same literary form, of the same period, or on the same subject." Other definitions do no stipulate "various" authors. 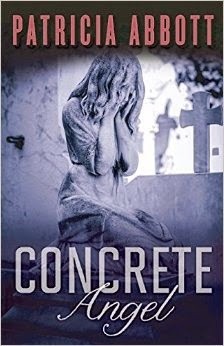 When Megan attended her first Bouchercon in 2006, David Thompson ( now tragically deceased) an entrepreneur and associated with Murder by the Book in Houston, approached her and asked her if she would be interested in editing an anthology of (mostly)women writers, writing about woman. Take the women who are usually the victims or part of the back story and fashion stories with them in a major role, he said. Megan, who knew almost no one in the business yet agreed to it and spent considerable time convincing the women in this volume to contribute a new story to a book edited by an fairly unknown writer for a fairly unknown press (Busted Flush). And this is the volume of stories that collaboration produced. I think many of them are quite good. My special favorites are "Everybody Loves Somebody" by Sandra Scoppettone, "Uncle" by Daniel Woodrell (nominated for an Edgar), and "The Chirashi Covenant" by Naomi Hirahara. But almost every story is good. Bill Crider, Tough Guys and Dangerous Dames -- Weinberg, Robert E., Stefan Dziemianowicz and Martin H. Greenberg, editors. J.F. Norris, FOUR AND TWENTY BLOODHOUNDS, Anthony Boucher ed. 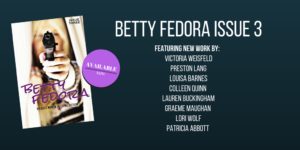 Thanks BETTY FEDORA for including my story along with these other terrific writers. Available in print or ebook. Okay, this was one of the better Christie's I've seen. 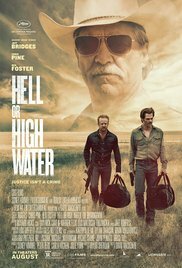 It was smoothly done, well-acted, great period detail. I couldn't begin to guess the murderer until it was nearly over. And yet, for me, it suffered from the same problems many of the Christie's suffer from. There are simply too many characters to sort through and few are developed well. 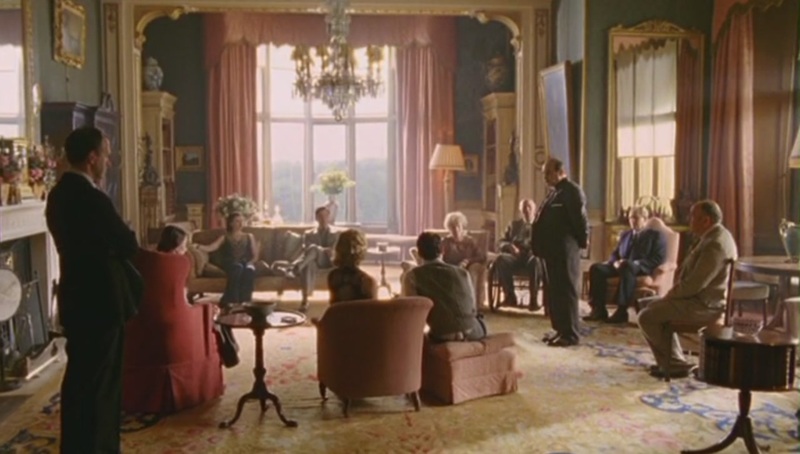 Every character gets to do a walk and talk with Poirot. And in the end, we spend fifteen minutes hearing him put it together. I am not sure that the world Christie created ever existed. 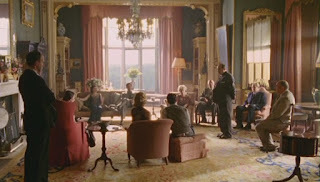 As a teenager reading her, it certainly was not a world I knew at all: people dressing for dinner, filling a country house with family and friends, elegant cars pulling up a long driveway, servants listening at doors,a murderous lower middle-class woman taking her revenge. (That seemed to happen quite often). 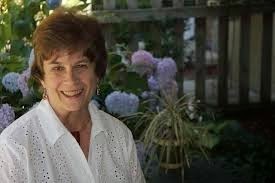 So although I am not so much an admirer of the whodunit plot she insisted on, I am an admirer of what Christie achieved. How she either created or captured a world I never knew. 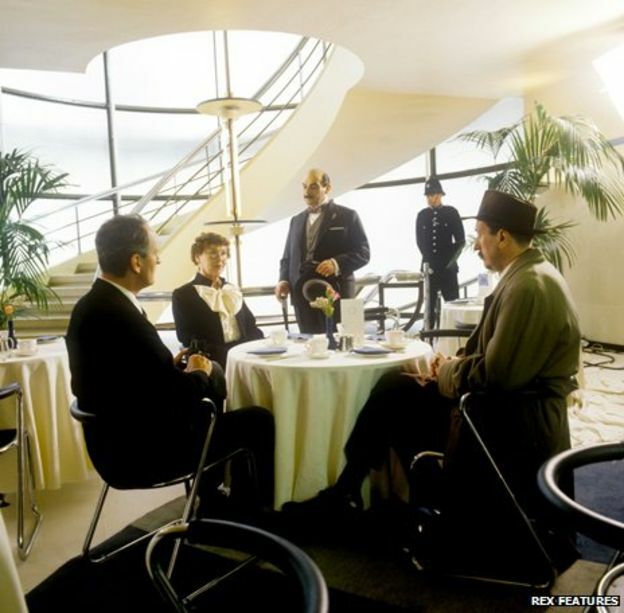 And these BBC productions, with their excellent casts, sets, and direction capture it a second time. And David Suchet will always be Poirot for a generation or two. He gets is so right. Here is an article in the Irish Times with many crime fiction writers talking about Agatha if you haven't seen it. Okay, the next night we watched FIVE LITTLE PIGS, which I thought quite brilliant. There were many fewer characters and they were well developed indeed. Although we have the denouement at the end there is a final twist that is clever and makes perfect sense. I would rate this as the best Christie I have seen so far. Watched the ABC MURDERS, which was also awfully good. I have done Christie an injustice by remembering her novels as too much one thing. Close to as good as FIVE LITTLE PIGS. Also we knew we had first read the name Megan in an Agatha Christie novel. This was it. I have told the story of finding a table full of Agatha's on the boardwalk in Ocean City, NJ about 1968. Phil and I sat in the ocean on low chairs reading them one after another. So Christie was my first venture in crime fiction after the ones for kids. And after her, I read Ruth Rendell, Josephine Tey, Ngaio Marsh, John D. Macdonald, Ross Macdonald, Margaret Millar, Sjowal and Wahloo, Nicholas Freeling, Rex Stout, Emma Lathen, Patricia Moyes and so on. Every once in a while, someone online talks about their early reading and I realize there were many writers I never touched. I never read Erle Stanley Gardner, Ellery Queen, Mickey Spillane, David Goodis, Jim Thompson, Dashiell Hammett, James Cain, Horace McCoy and so many more. Why? Well basically I read what my library bought. (It was a very long time before I bought many books other than those at used book sales). And I doubt my libraries bought any fiction that was not published in hardback. Or anything too violent. That would eliminate the writers found on spinner racks. 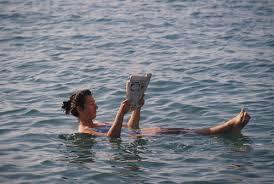 If I opened a book and it seemed too male-oriented I probably didn't read it either. Unlike Megan, I was not particular attracted to the more noirish stories. But soon I also wasn't attracted to cozies. I fell somewhere in between. Ruth Rendell would probably sum me up. A long way of getting to my question: who were the first adult crime fiction writers you read? (other writers' links are below this one). Sometimes we forget how well the traditional mystery can deal with the social problems of an era and the real lives of real people. The hopelessness and despair of these characters was right for their time of the inflation-dazed Seventies. But it's just as compelling now as it was then when you look at the unemployment numbers and the calm reassurances by those who claim to know that the worst is yet to come. What Makes a Sentence Great. and here is a link to Prof. Jenny Davidson's piece on that subject. I am a great fan of her blog called Light Reading and I would read any book she recommended because she reads across all genres. A reader who can see the beauty in every kind of writing. So give me a great sentence.Of course, in crime fiction, a first sentence would certainly be this one. 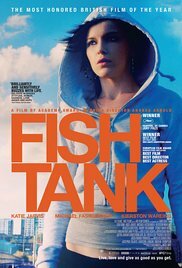 Andrea Arnold wrote and directed this British film in 2009. I am on a bit of a Michael Fassbender kick and I remembered this one when I saw his credits on IMDB. It's the story of a teenager being raised by an awful mother but who is somehow is strong enough not to allow it to ruin her life. When her mother's new boyfriend shows a (at first) kindly interest in her interest in dancing, things look up. 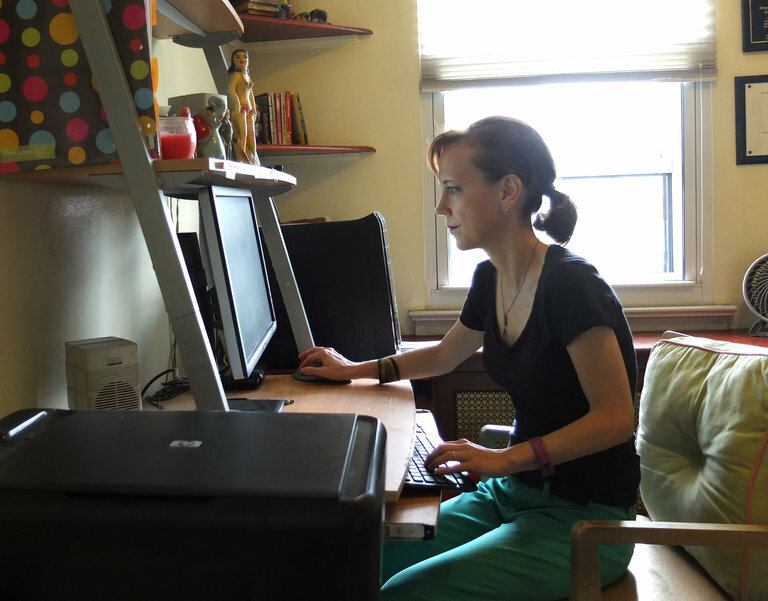 How Truthful Should You Have to Be When Telling a True Story in a Movie Not a Documentary? We saw SULLY last week and found it moderately enjoyable. Now part of the enjoyment came from the scenes where the passengers on a plane were saved by the crew and also by Hudson River barges, ferries, etc. But a large part of the movie's excitement came from a lie. 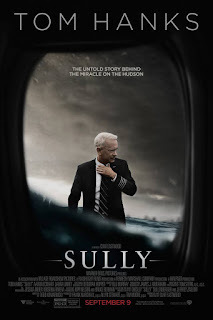 The movie portrayed federal agencies (National Transportation Safety Board) as looking to paint Sully as incompetent in the decision he made to land the plane in the Hudson river rather than turning back to LaGuardia. When a movie takes dramatic license in the way SULLY did, it portrays real people and government agencies as nefarious. In this case, an agency that did a good job in ferreting out the truth, is made to look like the opposite actions occurred. I know this happens all the time but in this case so much of the movie hung on this lie, I find it inexcusable. What do you think? Perhaps it is just a movie, but millions of people will walk out of the theater believing once again that the government cannot be trusted. Giles A. Lutz (1910-1982) was a prolific writer, with over 60 western novels published under his own name and a half dozen pseudonyms. 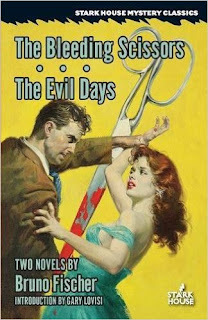 During the 1940s and 1950s, he published more than 200 stories in the pulps, mostly westerns, but also sports fiction. 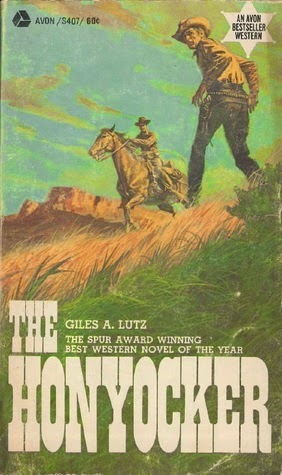 In 1962, he received the Spur Award for this novel, The Honyocker, from Western Writers of America. Plot. “Honyocker” was an insulting term bestowed by cattlemen and cowboys on homesteaders in the far West, who attempted to make a living from subsistence farming on what had at one time been open range. Turning the prairie sod, they were destroying not only free grass for the ranchers. Unknown to them, they were also permanently disturbing a fragile ecology too arid for cultivation of dryland crops that would support a family of settlers. Lutz builds his story around such a family, the Backuses, who have migrated to Montana from Missouri. Years of crop failures and an aversion to hard work have left them poverty stricken and desperate. The central character, Ashel Backus, is the one honorable son among three who tries to keep his brothers from stealing to put food on the table. Discovering that they have butchered a steer taken from the herd of a neighboring rancher, Milo Vaughan, Ashel offers to pay for the animal by working off the debt, and Vaughan agrees to hire him for a month of odd jobs around the ranch. Character. Becoming a temporary ranch hand works against Ashel in two ways. From the start, Vaughan’s foreman, Dandy Cabe, openly despises him, and the two are quickly involved in a fierce fistfight. Meanwhile, other homesteaders believe Ashel has betrayed them by changing sides in what is becoming a simmering range war. 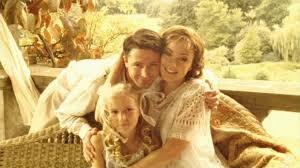 The surprise is that Milo Vaughan is more than satisfied with Ashel’s work (mostly jobs the cowboys won’t do, like repairing a roof and fixing fence), and Milo’s wife quickly comes to like him, too. After a month, he is offered a full-time job. All of this earns the scorn of Dandy Cabe and Ashel’s two brothers, who make trouble for each other, despite Ashel’s efforts to keep the peace. Animosities deepen as Vaughan’s daughter returns from back East, where she has been going to school. Both Ashel and Cabe are attracted to her, but she has plans to marry someone else. Matters come to a head on the day of the wedding, as Cabe hunts for Ashel to kill him, and one man finally guns down the other. Ashel is an appealing character—a young man with a strong sense of ethics, he is torn between loyalty to his disreputable family and the warm respect he earns from Vaughan, who becomes something of a father figure to him. Not only does he get the approval of Milo’s wife, but their daughter, Jenny, admires him as well. 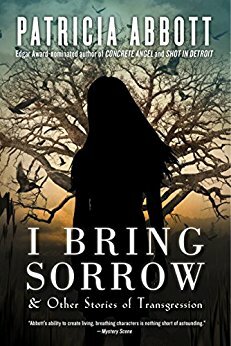 Her presence in the story provides occasion to bring out Ashel’s loneliness and his sense of futility at the unlikely prospect of ever winning the love of such a girl. Wrapping up. Reading the novel, I puzzled for many pages over why it received a Spur Award. The first two-thirds of what is a very short novel are flat and formulaic and the characters cardboardy. When Vaughan gives Ashel a lecture on the environmental impact of homesteading, the novel surprisingly comes to life. It stops being a conventional story casting greedy ranchers as villains threatening the well being of poor-but-honest frontier families, as we see in Jack Schaefer’s Shane (1949). Oddly, this turn in the story gives it legs and a momentum it has lacked until this point. It deepens the dilemma for Ashel as hostilities mount between ranchers and homesteaders, and everyone turns on him as someone not to be trusted, including Vaughan. And suspense builds in the final chapters as Cabe determines to kill Ashel. 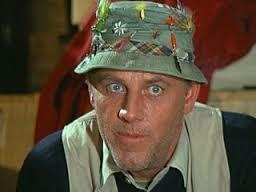 Hard to beat the death of Henry Blake on MASH. But there have been a lot of surprises. Some to accommodate a cast member's desire to move on (like McLean Stevenson) but many to accommodate the writers' desire to move on or surprise. What death took you by surprise? This movie is on netflix and was released last year. 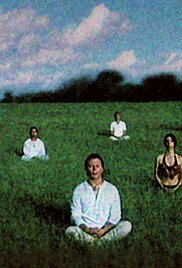 It is the story of a cult-one that the director Will Allen and his siblings were in for over twenty years. It has a sort of mesmerizing pull because as a viewer you cannot see the charisma the leader seems to have for his followers. Some of the oddities-he has over 200 followers at one point and they are all good looking--that seems to be a requirement. He himself, not sure of what his real name was-mostly stalks around, posing and putting on theatricals.All of the disciples seem to need someone to tell them what to do. Even when he's exposed for various sins, some of them don't have enough "self" to leave him. Interesting for the amateur sociologist but not really a recommendation. They seem insanely happy a lot of the time--maybe that's enough. I am enjoying this book a lot. I just don't have the attention right now for anything more. They start out by choosing what they consider the best TV show of all time. 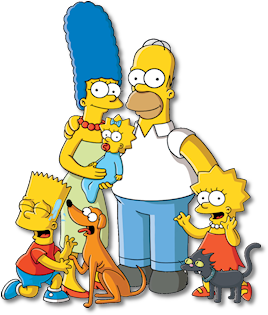 With THE SOPRANOS and THE WIRE runners up, they choose THE SIMPSONS. They acknowledge only the first ten seasons were consistently excellent. I have never seen an episode of THE SIMPSONS. What TV show would you choose? I would pick MAD MEN. I gave consideration to THE WIRE and BREAKING BAD but for sheer enjoyment and for what it said about America, MAD MEN wins for me. Not sure if this is even in our Sunday Times because I never noticed it before. Today was supposed to be anthology day. I changed the date when personal life got in the way but some of these were obviously meant to be part of that topic. I apologize. I should have sent out an email. 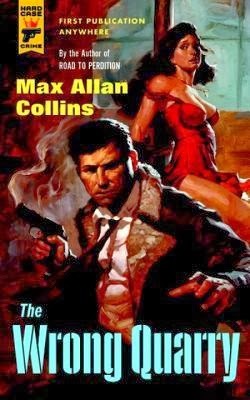 I’ve been a fan of Max Allan Collins ever since I discovered the Nathan Heller books during a low period in my life when I haunted the local library for a couple of years when the money got tight. Gradually I’ve filled in as many of the old titles as I could while keeping up with the new ones as they emerged. 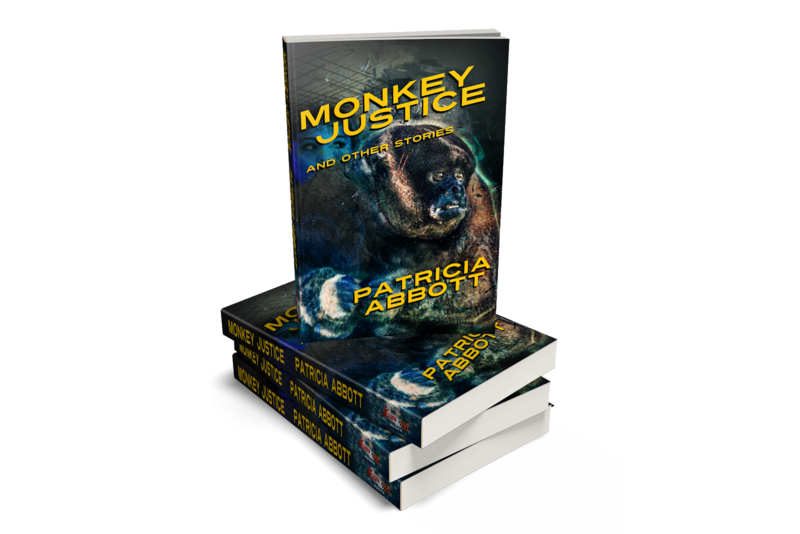 The Quarry books are a particular favorite, the hitman turned-well not exactly an angel-but a man with his own system of honor. Nowadays, armed with the Broker’s old list of hitmen, which he was once a part of, he makes his living finding them, watching for a target, and offering these folks protection. For a fee of course. He’ll get rid of the killers and find out who hired them. For another fee naturally. 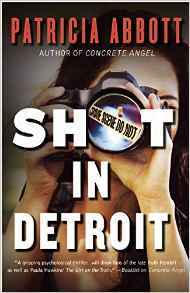 Now in the small town of Stockwell, he finds himself involved in something more. And he goes about learning the truth in his usual methodical manner, all the while with an eye on his back. Mr. Collins does his always superb job of building his story and surprising the reader more than once along the way. Most excellent. Now all I need is to read the short stories that accompanied one edition of a novel in the series. I don’t think they’ve been released in another venue such as an ebook(hint, hint). Bill Crider, Hard-Boiled Detectives: 23 Great Stories from Dime Detective Magazine, Dziemianowicz, Stefan R., Robert Weinberg and Martin H. Greenberg, editors. "Otherwise on occasion, and without warning, my mother, and usually in the presence of our father, struck us impulsively and vigorously." 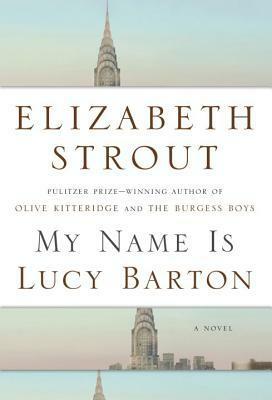 An impoverished childhood leads Lucy to a life that looks successful on paper: a writer with a husband and two children. Yet this hospital stay allows another woman to steal that away from her. Yet a passivity on Lucy's part keeps the reader a bit distant from all of her travails. On occasion, you intuit that a writer's life experiences are so different from yours that you will never fully understand her characters. And although I love Strout's novels and her writing, I am always looking at the page through gauze. I don't mind it though. I don't expect to "get" every novel I read any longer. For more reviews, see Barrie Summy right here. This film came out last year, but I caught it on netflix. 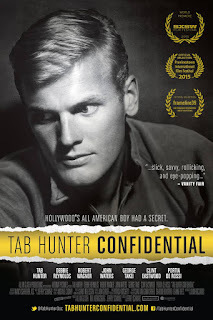 Tab may have been my favorite movie star as a preteen. He was perfect for that age-so wholesome, handsome, gentlemanly. And I liked him even more after watching this. He was crazily honest about himself, his talents, his life. And I felt so sorry that he had to be closeted for most of his career. I think you will be surprised at how good he was in a lot of roles. People equate him with beach movies, yet he made only one. And he was a pretty decent singer too. His later career, after he left Warner, was sad. There was no publicity department to stop the rags from outing him then. But he did meet up with the love of his life who is still with him today. So often you dislike a celebrity after a doc like this but I liked him more. Eddie Muller is responsible for the co-written book that initiated this film. And Tab is still movie star good-looking. Who were your early heartthrobs? 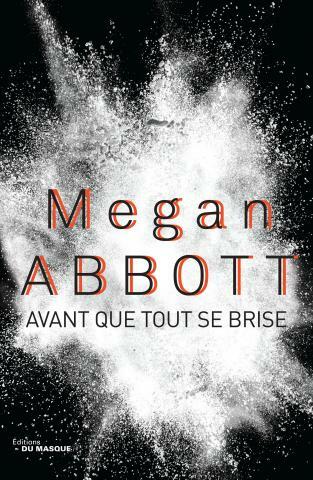 as she journeys to the Festival American to introduce the French version of YOU WILL KNOW ME. I sadly admit that I don't listen to much music. If I put on the radio or my my iphone, I invariably listen to NPR or a podcast. It's words I crave. Now I know there are lyrics in music, but I rarely can make them out. And is it usually about the lyrics anyway? The last time I really paid much attention to music I was in my twenties-first listening to rock and then trying to understand classical music or jazz. I did not grow up in a family where classical music had any place. My father liked music and listened to soft jazz on the radio-probably not jazz at all really. 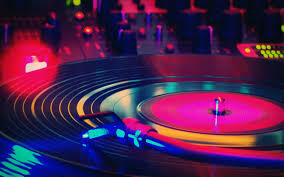 My mother, like me, only used music to dance to. She was also a news person. My brother was a huge rock fan until he hit his thirties and then it fell away with him. Phil listens to music more than me, but mostly classical in the car. Or occasionally jazz in late afternoon. Neither of us work to music anymore. So my history with music is pretty pathetic. How about you? How much time do you spend listening to music? And what kind?